When people think of Colombia, what often comes to mind is coffee, cut flowers, and emeralds. Prime Group is working hard at adding its name to this list. And with a continued expansion of the company’s presence here, they’re on track to do just that. The umbrella company and its multiple divisions are fast becoming known as Colombia’s top provider of air cargo logistics and services. While the primary focus of Prime Group services here continues to be in support of air carriers and the shipment of perishables – the company is focused on expanding its presence in the highly lucrative Colombian market. With about 25 employees now based in Bogota, they recently boosted staffing to accommodate a shift in focus from a purely PrimeAir office to a diversified Prime Group operation. They are also focused on best accommodating their new relationship with Emirates SkyCargo, the largest cargo airline worldwide in terms of international freight flown. 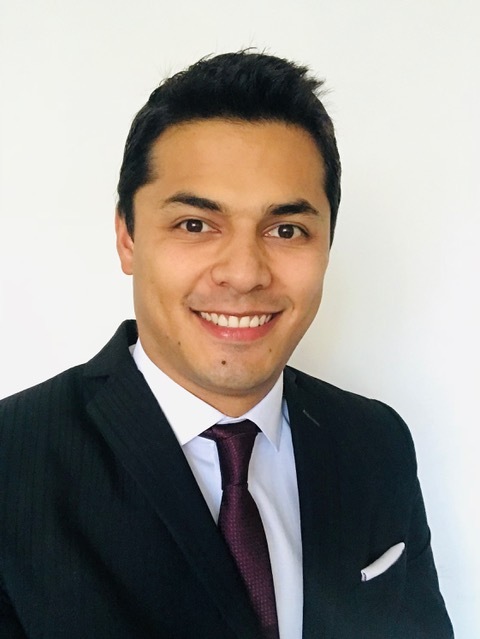 To get a good perspective on the Bogota operation, we recently spoke with Commercial Manager for Colombia José Luis Vargas. Q: Tell us a about your Bogota operation? JLV: PrimeAir is one of the companies that comprise the Prime Group, dedicated to representing cargo airlines in South America markets. In September, we celebrated our second year of direct operation here with six frequencies per week between Bogotá and Miami with Atlas Air, one of the most important and reliable cargo airlines in the world. Another important point is that we are listed as the second biggest carrier in the market from Colombia to worldwide destinations, according to IATA statistics. With the growing success of the BOG, are you outgrowing your office? JLV: Well, yes, we’ve been on the move – but that’s certainly a good problem to have! We started with a small office of 500 ft2. in 2017, and quickly had to move into a new space double the size. But it didn’t end there – this year we expanded to an area of 1,700 ft2 for Administrative, Finance & Sales, and Marketing; and to a separate office of 800 ft2 for operations. All tolled, we house 25 employees at Terminal 1, Office 220, of El Dorado International Airport. Q: What is the focus of service here? JLV: As I mentioned, we are focus primarily on the PrimeAir services, representing airlines in the local market. But being part of the overall Prime Group allows us to provide our customers with a full range of solutions within the supply chain – not only as a carrier but also as a strategic partner with our own facilities in the U.S., Europe, South America, and our strong partnership with companies all over the world. We are also presently building momentum with several new offerings for which new people are being hired, for instance to man our new Vacuum Cooling service; and for our new service with Emirates Sky Cargo here. What is your strategy with the BOG operation? JLV: When you start a project in a new market, you need to identify one purpose, and start by offering one specialized service. Once that’s established, you can move on. This is what we have done in Colombia. Such an approach helps us avoid improvisations and mistakes that could come at cost in the future. In Colombia we want to replicate what the Prime Group is doing in other parts of the world, and in a very deliberate way. Now we believe is the time for us to diversify our products in Colombia, which is why the company is making important investments in order to serve the market with better solutions and services. It’s an exciting time. What does the Colombian market look like? JLV: We are seeing hefty increases in market volume. If you compare this year’s Valentines Day season with last (Jan-Feb 2018 v Jan-Feb 2017), we went from 35.336 tons to 40.238 tons moved during that period, according to Asocolflores official report. This represents an increase of 13.9 percent of the volume transported by air this year. To us, this is a positive sign for the upcoming years. Obviously there are some challenges in the sector that must be sorted out and involves different actors (government, flower association, carriers, freight forwarders), but in general we are very optimistic about the future of the economy and the country. Q: Who are your biggest customers? JLV: In the Colombian market, global agents such as Kuehne & Nagel and Panalpina have a strong presence and consequently are very important partners of ours in the country. But local agents also play a very big role, companies like Logiztik Alliance, Cargex, Masterfreight International, and Cargomaster among others. In fact, most of them are becoming regional partners due to their presence in other countries of the region. Q: What are the primary products of the region? JLV: The main products we transport by air are flowers, fruit, and fish – all of which are very sensitive commodities requiring special handling processes – which is exactly what we specialize in. Although these products represent more than 90 percent of our total volume, we also transport other many other items that are, frankly, no less difficult to handle, such as aircraft engines, cars, motorcycles, tools and machines for the oil industry, live animals, and more. Q: How do you store, ship, and transport the products? JLV: In-country shipments are delivered directly by the farms themselves to the airline facilities at the airport. Here, all shipments must pass through a rigorous security process, where all single boxes are scanned and measured – a process that is professionally and competently supervised. After all, when you talk about air transportation, security is a top priority. Then, all shipments pass into to the cool facilities where they are palletized according to the configuration of the aircraft. One hour before each aircraft arrives in Bogotá, the pallets must be ready and waiting on the ramp. The transit time of the aircraft cannot exceed 1.5 hours, before it is loaded up with the outbound cargo. The aircraft has its own cool system that guarantees that the cool chain will never be interrupted. The dynamism and exigency of this business make all your days different. Q: Tell me about the new agreement with Emirates. JLV: PrimeAir has a long-time relationship with Emirates. In Ecuador, EK operates four direct flights per week from Quito to Amsterdam, under PrimeAir representation. In that sense, the cooperation between both companies is very well established. Now, Colombia is an interesting market due to its volume of flowers being exported not only to the U.S., which has been the country’s traditional main partner, but also to Europe, the Middle East, Far East, and Oceania – markets that are served by Emirates with its immense network around the world. We are starting a four-day a week operation to Dubai and beyond, via Ft. Lauderdale (FLL) in cooperation with Avianca Airlines as a feeder for the transit from BOG to FLL. This is a great opportunity for the Colombian market to get into Dubai in just one day using the direct AWB of Emirates, which makes the transit times in FLL fast and easy. With the Quito Flower Show season behind us, are there other trade shows that are of equal importance to attend? JLV: Yes, we always attend the Quito and Bogotá flowers shows, and Air Cargo Americas in Miami. This year we also attended the Amsterdam, Moscow, Guangzhou, and Tokyo flowers shows. And we already have a full agenda for the next year, including perhaps attending the Intermodal show in Sao Paulo in 2019. 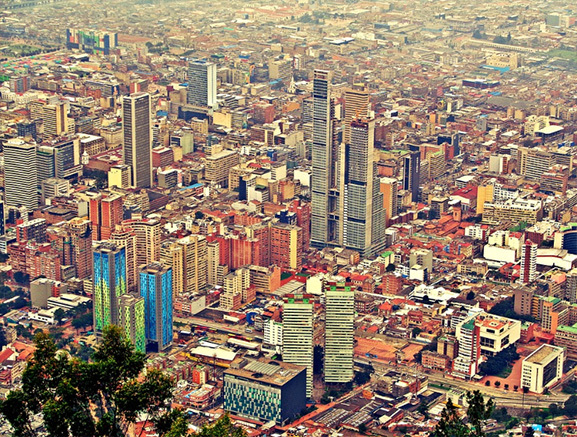 What do you think of the city of Bogota? JLV: Bogotá is a main capital known for a wide range of attractive cultural and culinary offerings. With a population of almost nine million people, it is an amazing location to do business, as it is the base hub for most of the country’s biggest and most important companies. Bogota also benefits due to its location in the heart of Cundinamarca, the region where 70 percent of the total production of flowers is generated. Are you happy with your assignment in the Prime Group world? JLV: Yes, I am quite happy indeed. Let me tell you a quick story: I had been in the sector for seven years, when I left Lufthansa Cargo to join with Prime Group in 2014. This was a new project and, as I mentioned, we started with a very small office. One of the reasons for going with Prime Group was that the company already had an impressive presence and was well recognized in other markets at that time – so in that sense I knew I was joining a serious group. But the main driver was the vision and sense of purpose of the company that made me believe in this project. Now, five years later, I can tell you it was the right decision and I feel very proud and honored to be part of this company and in the role I play. For information, contact Commercial Manager José Luis Vargas via email at joseluis.vargas@primeair.aero or by calling 305-735-3570. Also visit www.primeair.aero. It’s always good to hear when a General Sales and Service Agent lands an agreement with an international cargo carrier – especially in today’s highly competitive environment. But when a GSSA like PrimeAir gets to announce it is significantly expanding its South American operation due to a new agreement with Emirates SkyCargo, it’s a shout heard around the world. Emirates is consistently voted one of the world’s best airlines, and its SkyCargo division is ranked the largest cargo airline worldwide, just behind FedEx. Starting in August, the carrier will provide service (via Avianca) between Bogota and both Ft. Lauderdale and Orlando where cargo will connect with an Emirates B777 to Dubai International Airport and beyond. This new service complements Emirates’ existing schedule from neighboring Quito to Amsterdam and beyond. Actually, Sky Cargo was already quite familiar with the high caliber service PrimeAir provides. They were appointed as the carrier’s GSSA the day they began flying into Ecuador in 2013. Now, the time-tested relationship with Emirates is expanding here in Colombia. “Emirates is obviously very pleased with how we’ve been performing,” Paredes continued. As a GSSA, PrimeAir will provide in-country sales, marketing, and accounting for SkyCargo, in addition to airport services such as warehouse supervision, and ULD control. As a result of the new agreement, PrimeAir now has an opportunity to expand its own overall operation – and presence – at the Bogota station, where they have been serving as Atlas Air’s GSSA for more than two years. “The airlines clearly see the top quality work we do for them – in fact, a very good job from the cargo sales side, filling up the planes,” noted Paredes. The cargo coming out of Colombia is 99 percent perishables, the majority of which is flowers – which continues to be the primary commodity for PrimeAir in Latin America since its founding in Quito in 2001. But at the end of the day, it is a big feather in the cap of the entire PrimeAir team, to be able to say they represent an international carrier as prestigious as Emirates. “Emirates is respected all around the world for their on-time performance and reputation as a well organized, professional operation. So to be aligned with such a company actually serves as selling point for us among our freight forwarder customers,” Paredes added.